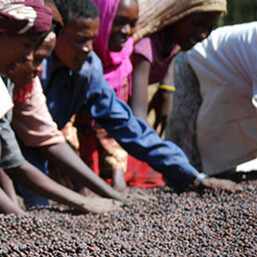 Has Bean Coffee — Ethiopia Kebel Kercha Guji Natural. Never has a tasting note nailed a flavor so well, as this one: Effervescent, zingy, sweet, blueberry muffin. This coffee is very light, with an amazing scent of blueberries, that makes me dive back in. Made with my Clever Coffee Maker, and I am going to be back for more! Also going to do a bit of an experiment. I bought roasted and green beans of this type and I”m going to see how good I can get at roasting in my cast iron pan. I’ll post the results here.